I almost fell off my chair a few minutes ago. I just posted a blog on news from Notre Dame and Cornell about HDAC inhibitors correcting the Niemann Pick Type C defect in cell culture. I just read on PNAS that the Novartis cancer drug Panobinostat (LBH-589), a Phase 3 drug developed for the treatment of cancer, may be able to halt the progression of Niemann Pick Type C disease, a fatal genetic cholesterol metabolism disorder that affects my twins. Panobinostat inhibits one or more of the histone deacetylase (HDAC) enzymes, a mechanism leading to apoptosis of malignant cells via multiple pathways. Here is the abstract – I don’t have the full paper. Niemann-Pick type C (NPC) disease is predominantly caused by mutations in the NPC1 protein that affect intracellular cholesterol trafficking and cause accumulation of unesterified cholesterol and other lipids in lysosomal storage organelles. We report the use of a series of small molecule histone deacetylase (HDAC) inhibitors in tissue culture models of NPC human fibroblasts. Some HDAC inhibitors lead to a dramatic correction in the NPC phenotype in cells with either one or two copies of the NPC1I1061T mutation, and for several of the inhibitors, correction is associated with increased expression of NPC1 protein. Increased NPC1I1061T protein levels may partially account for the correction of the phenotype, because this mutant can promote cholesterol efflux if it is delivered to late endosomes and lysosomes. The HDAC inhibitor treatment is ineffective in an NPC2 mutant human fibroblast line. Analysis of the isoform selectivity of the compounds used implicates HDAC1 and/or HDAC2 as likely targets for the observed correction, although other HDACs may also play a role. LBH589 (panobinostat) is an orally available HDAC inhibitor that crosses the blood–brain barrier and is currently in phase III clinical trials for several types of cancer. It restores cholesterol homeostasis in cultured NPC1 mutant fibroblasts to almost normal levels within 72 h when used at 40 nM. The findings that HDAC inhibitors can correct cholesterol storage defects in human NPC1 mutant cells provide the potential basis for treatment options for NPC disease. 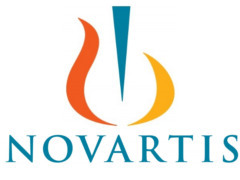 Interestingly, Gleevec, another cancer drug developed by Novartis also works in the NPC mouse model (modestly) and was reported by Paul Greengard to have an effect in the Alzheimer’s model. Wow. Panobinostat may also work in other neurodegenerative diseases as well such as Alzheimer’s, Huntington’s, ALS, SMA……many others where HDAC inhibition is showing some success! My partner has just completed a 1 year trial taking panobinostat for his Lymphoma. He was quite ill on the weeks he took it but has not relapsed in the last year and is now in full remission. Unfortunately they canned the study here in NZ because there were not enough participants. I hope they continue the study elsewhere as I think the drug holds some serious potential!! Very interesting! I hope that panobinostat turns out to really be something & I look forward to learning more about it. I wonder if sodium phenylbutyrate would have a similar effect? Sodium phenylbutyrate is an HDAC inhibitor. Plus it is already an FDA approved drug. I read your story a few weeks ago, and just wanted to pass on some info that may help. Your wife mentioned that she was searching for things that cross the blood brain barrier. Essential oils have been scientifically proven to do that. I would only reccomend using doTerra certified pure therapeutic grade essential oils. They are tje purest oils you can buy. The healing qualities are incredible. Specifically Frankensince, but I know there are other oils that would be extremely helpful. I would highly encourage you to look into doterra. Yes, I do sell doterra oils, but that is not my motivation to share this with you. I stumbled across your story on youtube and as a mother of 6 small kids, I was so sad to think of any parent going thru this. Please contact me if you have any questions. Or, so you know Im not financially motivated, anyone at doterra would be able to help you. In fact, one of the founders is Dr. Hill. Ive met him personally and he is a very compassionate man who im sure would be willimg to meet with you. Sorry for the typing errors, im on my cell phone and its hard to type. Good luck with everything and may God bless your family.